This guided meditation enhances your ability to receive the wisdom always available when you are grounded and quiet. We’re offering this track free of charge as a way to thank you for visiting recoveryourpeace.com. We hope you enjoy and find it beneficial. If you like it, please tell your friends so we can grow our connections. And if you feel moved by gratitude to give a financial gift, any amount is appreciated! Thank you. Bring to mind a time in your past when you had the gift of insight. Perhaps you were facing a confusing set of choices and received clarity that helped you decide. Or maybe your memory involves a relationship that had been in turmoil that was healed by a seemingly surprising inner knowing that came to you. One of my favorite personal examples involves a message from my mother’s apron. I had spent several weeks struggling with the question of whether or not to move to a new place and change careers. I created lists of pros and cons to analyze and attempt to predict the outcome of either choice – stay or go. I spoke with my trusted advisors to get outside input to balance my inner deliberations. And I fretted. A lot. One day, a wise and kind older mentor suggested I might be trying too hard to figure it out. She suggested I humbly and earnestly ask my higher power for guidance. Then she said “After you do that, let it go.” So, I did just that. Within a few days of getting busy doing other things, I stopped by my parent’s house. My mother was busy baking in the kitchen. It felt like she was particularly glad to see me that day. As she turned toward me with a smile, I noticed she was wearing a new needlepointed apron. It was blue denim with a cute simple image of a flower pot. Stitched in yellow thread below the daisies were the words “Bloom where you’re planted”. Message received! I believe we all have the capacity within to tune into the same type of wisdom we recalled in the first paragraph. We might think we received it from an outside source – but the ability to receive is within. Always. 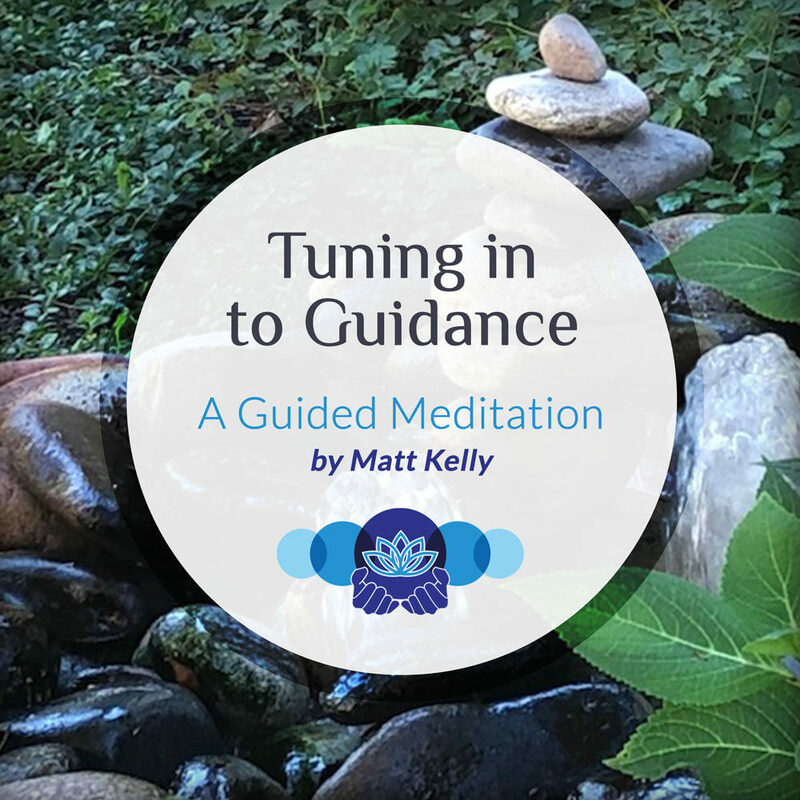 This guided meditation was created to help you practice and improve that ability.